This introduction has been contributed by Debra Dalgleish, Excel MVP. Contextures, Copyright © 2014. All rights reserved. Debra Dalgleish, Excel MVP since 2001, is the author of three books on pivot tables, published by Apress. She shares Excel tips, tutorials, and videos on her websites, www.contextures.com and www.pivot-table.com. Good introduction to Pivot Tables. Chandoo gives a good overview of pivot tables, with helpful tips and links. In a PivotTable, Microsoft Excel may calculate an incorrect grand total for a calculated field. When you try to create a simple cell link formula that refers to a cell in the data area of a PivotTable in Microsoft Excel, a GETPIVOTDATA formula is automatically created instead. The data model cannot differentiate between the similar characters. Here are a few books about pivot tables, available from Amazon and elsewhere. I’ve selected these books because I know the authors and I’ve used the books, so I can vouch for their quality. Disclosure: if you purchase one of these books using my link, I’ll get a teeny commission. Microsoft Excel Most Valuable Professional Debra Dalgleish explains what PivotTables are, how you can benefit from using them, how to create them and modify them, and how to use their enhanced features. Using a Pivot Table in Microsoft Excel 2007 is a quick and exciting way to slice and dice a large amount of data. Debra carefully explains the benefits of using Pivot Tables for fast data analysis, provides a step-by-step approach to those new to Pivot Tables, and offers tips and tricks that cannot be found elsewhere. 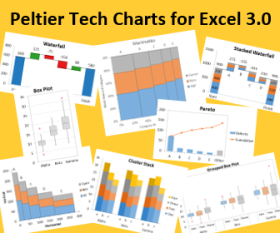 Debra Dalgleish, Microsoft Excel Most Valuable Professional since 2001, and an expert and trainer in Microsoft Excel, brings together a one-stop resource for anyone curious about representing, analyzing, and using their data with PivotTables and PivotCharts. Debra presents tips and techniques in this collection of recipes that can’t be found in Excel’s Help section, while carefully explaining the most confusing features of PivotTables to help you realize their powerful potential. This book will help you leverage all the amazing flexibility and analytical power of Pivot Tables. You will learn how to generate complex pivot reports complete with drill-down capabilities and accompanying charts. Then you’ll discover how to build a comprehensive, dynamic pivot table reporting system for any business task or function. Microsoft Excel Most Valuable Professionals Bill Jelen and Mike Alexander include step-by-step instructions, real-world case studies, plus complete and easy recipes for solving your most common business analysis problems. Posted: Monday, October 6th, 2014 under Pivot Tables. Thanks for links. There are useful. I’m still learnig pivot table. It is one of the most powerful Excel features. Wow! This itself is a great resource!